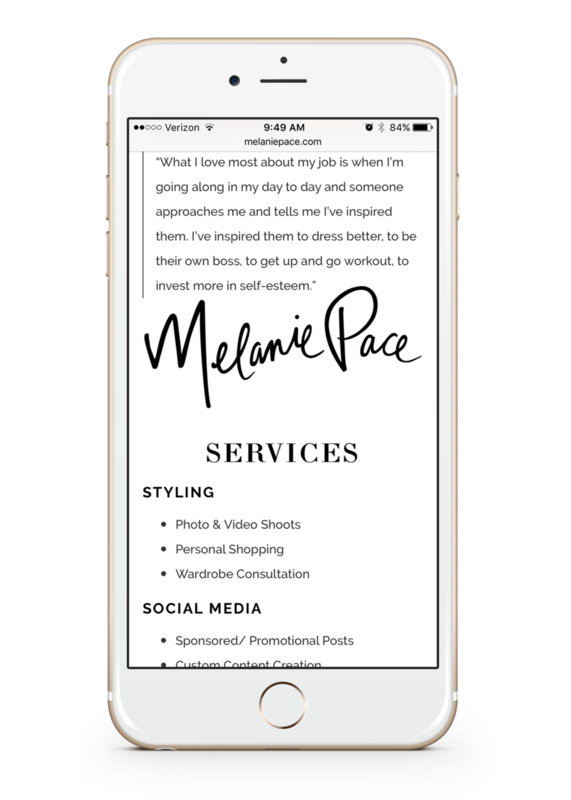 Melanie Pace is a distinguished fashion advisor, on-air style expert, and wardrobe stylist born and raised in The Sunshine State. Frequently featured on panels as a style virtuoso, her strengths include editorial styling, event hosting, covering red carpets, and consulting on wardrobes for private clients. This collection is the rebranding and creative direction I created for fashion stylist Melanie Pace, a management client with Jane Layne Creative. I was to refresh the already established blog and portfolio as well as update the logo and brand collateral. I also designed and EPK & one sheet for her styling clients and brand partnerships. My vision for the new logo was to incorporate the previous handwritten style to keep the mark personal to Melanie, but to update it to be more versatile and professional.